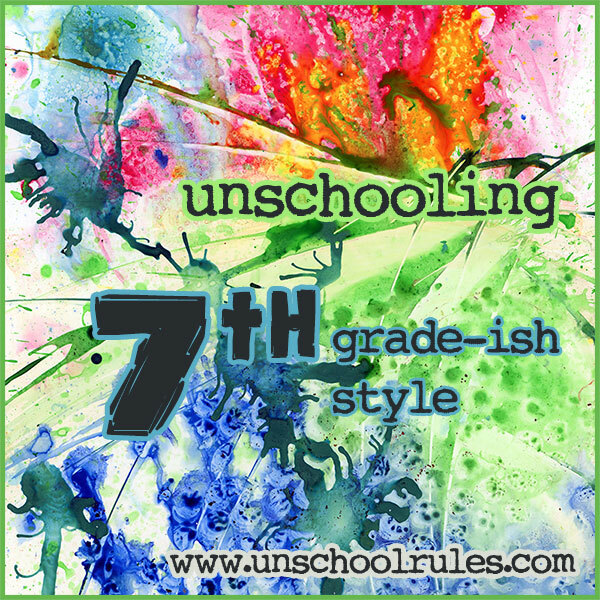 Curriculum for unschooling 7th grade – sort of? The fact is, we’re not exactly “textbook” people. We’re DEFINITELY not workbook people. In good news, we are book people. Lots-and-lots-of-books people, actually. We’re not exactly “grade-level” people, either. By Pennsylvania law and standards, Sarah, who is 12 and a half, is a seventh-grader as of July 1. Her work and her abilities, though, literally range from about a third-grade level in some subjects to a post-high-school level in others. Oh, wait. We’re also not really “planning” people. Thankfully, the law in Pennsylvania, while it requires that you submit “objectives” to your school district, doesn’t require you to plan out your year or even pick a curriculum. Most days, I have no idea what we’re going to learn about until it happens. We make plans – of sorts – but the best opportunities always seem to be those that just arise naturally. With all that in mind, why am I even bothering to join the “Not Back To School Blog Hop” for curriculum week? 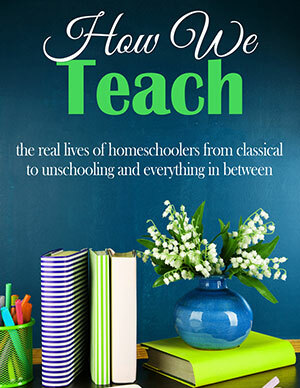 Mostly, because I want to show other not-exactly-planning, not-exactly-at-a-grade-level, not-exactly-textbook people – and I know you’re out there – that you CAN make this homeschooling thing work! And, if you haven’t already, I also invite you to check out our later ideas, the unschooled version of a 12th-grade-ish curriculum plan (2017-18), the unschooled version of an 11th-grade-ish curriculum plan (2016-17), the unschooled version of a 10th-grade-ish curriculum plan (2015-16), the unschooled version of an ninth-grade-ish curriculum plan (2014-15) and the unschooled version of an eighth-grade-ish curriculum plan (2013-14). Well, let’s start with this idea in mind: What we learn about is driven by Sarah, and what we do is experienced as a family. Don’t stress about that right now. If you’re thinking, “But if I gave my 12-year-old a choice, he or she would sit around and play video games all day,” you’re probably right. So would Sarah – and she WILL play a lot of video games, which she loves. But if you find out what your kids are REALLY interested in, you’d be surprised what you can facilitate. 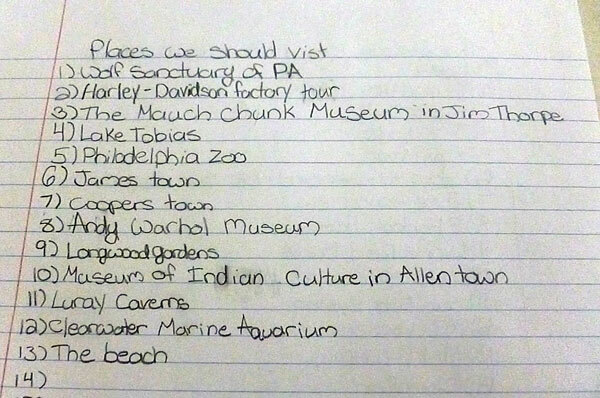 We also made this list, of places we’d like to visit, some near and some outside our state. So how does this turn into “curriculum” – and what else will we be mixing in? As well as I can, I’m going to try to do a subject-by-subject look; most of what we do is what would in my state documentation be called cross-curricular, but this way, if you’re using a planned curriculum in some subjects and want to mix in something we’re using in another, you can see how it might fit. Several books in the Sterling Biographies series, which we really enjoy the style of, including Sitting Bull: Great Sioux Hero and Jim Thorpe: An Athlete for the Ages as part of our study of American Indians and Abraham Lincoln: From Pioneer to President to help us learn more about the Civil War. Abeka’s New World History and Geography and Old World History and Geography. I mentioned we’re not much for textbooks, and we don’t tend to use textbooks LIKE textbooks – but Sarah really enjoys some of the Abeka stuff, and when she saw that two matching sets of this were available, she wanted me to get them and give the extras to one of her best friends, Madi, a fellow homeschooler, “so we could both be reading them.” For reference, I think one of these is designed to be a fifth-grade text and the other a sixth-grade one, but I find Abeka’s materials to be a bit advanced, so I could see these being used at least through an eighth-grade level. American History: Observations and Assessments from Early Settlement to Today by James P. Stobaugh. I received a free copy of this to review through New Leaf Publishing Group, and while I haven’t done the “official” review post yet, Sarah has loved browsing through it. It’s considered a 10th-grade text, but she’s had a great time reading various parts that piqued her interest. If I were using it “officially,” I’d probably have to modify some of the essay questions, which are a little beyond Sarah’s level, but the great thing is, we can pick the parts that work well for us and skip the rest! Our subscription to National Geographic. I don’t think we’ve had an issue yet that didn’t turn into a history, geography or social issues learning experience. In fact, I think I’m on some kind of “wavelength” with the NatGeo folks, because we got the Titanic issue right when Sarah was most passionate about that, and now that we’re heavy into American Indians, this month’s issue focuses on the Sioux and their lifestyle today! The Olympics are providing a great springboard into geography as well (and tie in nicely to that Jim Thorpe biography, don’t you know?) We’ve been using our globe to find the countries involved in our favorite sports and talking about them, and we’ve learned more about London than I ever thought I’d know! This list is as short as the history list is long! We have started the Life of Fred series of “math as a story” books, and Sarah is loving them! So far, we’ve finished Life of Fred: Apples and are about halfway through Life of Fred: Butterflies, the first two books of the 10-book elementary series. I’d love to see us get through all 10 of the elementary books this year and then see if Sarah is ready to go on to Fred’s version of fractions, which is the topic she REALLY struggled with last school year. Essentially, much of this year will be a “rebuilding year,” to quote most Phillies managers ever, but I’m 100% fine with that. Given Sarah’s significant math phobia coming out of public school, a mix of Life of Fred and some fun and games based around our favorite math-in-the-real-world resources will serve us better in the long run, I think. Also, I want to make sure I’m clear: Life of Fred is described as a Christian series, and we are secular homeschoolers. We haven’t had any problems taking what few religious references we’ve found and using them to discuss what different people believe, which we like anyway. Space and astronomy. This week’s landing of the newest Mars rover, Curiosity, has been a HUGE hit with Sarah. We’d already been using the “Let’s Explore Astronomy” set from Calendar Connections at 1+1+1=1, and coincidentally, our current Life of Fred book talks about the constellations, so… WAY cool tie-ins there. Butterflies. In fact, look for a post coming from me later this week or early next week on some of the fascinating butterfly stuff we’ve been doing in the last month! I expect we’ll work in the “Let’s Explore Bugs” set from Calendar Connections here, too, where we read a fact a day on the topic. Wildlife. With our 4-H club being the Wildlife Watchers, it’s kind of a given that we’ll be doing a bunch of projects on this topic through the year. In addition, though, Sarah wants to take another trip to a wolf sanctuary about an hour from our home, and she wants to focus on how we can help endangered “big cats,” which is a huge National Geographic initiative. The great thing about these projects is that they also turn into entries for her 4-H wildlife journal, which can then be entered as a 4-H fair and county fair project. Here’s a look at some of the books we lean on as resources in these areas. Enough butterfly and bird field guides to sink a ship. We have tons, and Sarah’s always talking us into buying more. Should the blue-footed booby, crested grackle or great horned whoozywhatsit decide to perch on our deck, if it can wait while we search a catalog the size of the unabridged Oxford English Dictionary, we’re sure to be able to identify it. Birds and Blooms magazine. This is another subscription we get immense value from, on everything from butterflies to birds to gardening. In some ways, this is our simplest subject to explain. Here’s the short version: We read across genres as a family, both aloud and silently. We work with Sarah to help her spell the words she needs to use correctly. And she writes all sorts of things of her own choosing, everything from blog posts to fiction stories to her 4-H project documentation. The hardest part about not “assigning” writing projects comes when I have to prepare documentation for our evaluator. Sarah knows a lot about many subjects – including the ones we’ve talked about above – but asking her to write a report or an essay isn’t a good way to get her to show what she knows. That said, the evaluator needs something she can easily look at that shows Sarah is making progress as a written communicator, as well as in her core subject areas. This is one area where I admit I don’t quite know what we’re going to do. Sarah and I have talked about what we need to be able to turn in, and sometimes she’ll get it in her head to “do a project” on someone or something, so my plan right now is that I have faith that we’ll end up with a research report on Olympic gymnast John Orozco or a PowerPoint on Sitting Bull somewhere along the line! In addition to those general notes, here are a few of the language arts-y things we’ll probably focus on specifically this year. Short stories, fairy tales and folk tales. Sarah likes short fiction, and Chris has a real passion for fairy tales. He uses them to help Sarah learn about culture and geography, too; in fact, right now, we’re interspersing our Sitting Bull biography and The Key to the Indian with Ruth Manning-Sanders’ “Red Indian Folk and Fairy Tales” and talking about the tribes the stories come from! Historical fiction. Given a preference, Sarah will read a nonfiction book over fiction any day, but she really enjoys the experience of being read to in this genre, so I’m glad to continue doing that. (It’s also a great way for me to gauge her interest in a topic; the Indian in the Cupboard series was one I loved and thought she’d like, and it was a great way for me to see if Native Americans were a topic we’d want to delve into more. Understanding higher-level texts. This is a HUGE benefit to reading aloud as a family. For instance, right now I’m reading to Sarah a National Geographic article about the Lakota Sioux and their lifestyle on the reservation today. There’s a lot of complicated stuff in there – from the controversy about growing industrial-grade hemp to the use of peyote in traditional rituals to the symbolism of Mount Rushmore and the Crazy Horse monument. Sarah could “read the words” on her own, but her understanding of it as we talk through things is growing deeper and deeper, and the more we do it together, the more she builds an ability to do it on her own. I could spend all day listing the things that we do in this area, which includes an awful big swath of things Sarah is interested in. In the area of music, we’re going to listen to things across all genres, and attend concerts as often as possible. (Big ones include Celtic Thunder and David Byrne, both in September; we’ll also do the local high school band’s show and the spring musical.) Sarah also enjoys composing song lyrics and putting tunes to them at the piano, which I’m sure she’ll continue. 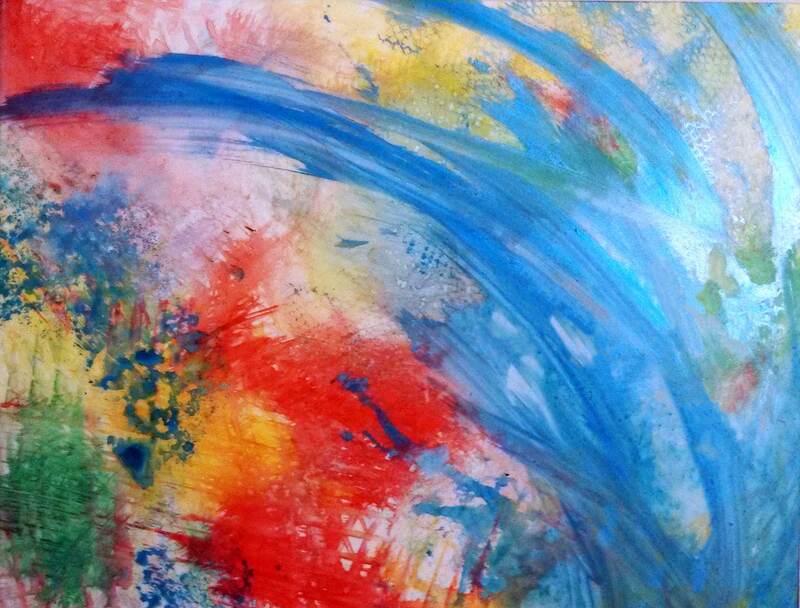 In art, we’ll dig into the works of M.C. Escher and Andy Warhol, including a trip to the Andy Warhol Museum in Pittsburgh if we can. We’ll also almost certainly do some family collage, calligraphy and Native American art projects. As far as technology, this will be a big year, because Sarah will get her own cell phone and be responsible for managing it. She already uses Pinterest, Twitter and Google Plus, and will continue to work with those, and we’ll possibly consider letting her have a Facebook account once she turns 13, their minimum age. Home economics. Oh, that’s a fun subject, which I usually lump under the category of “daily life skills.” That’s everything from cooking and baking to doing dishes and laundry to helping with the grocery shopping to managing her savings accounts. Thankfully, Sarah’s pretty independent in those areas, but we’ll keep working on the finer points. Other fun stuff. I take this to include lots of trips, lots of reading, lots of internet searching and lots of time with friends. So how and when do we “do” all this stuff? We don’t plan our days to include any particular “school times.” We learn when it happens. That said, we’ve got a family tradition that is a HUGE part of how we learn, and that’s our bedtime reading aloud with Sarah. This isn’t simply “read a story” reading aloud, though it started out that way. And that’s where the books that figure so prominently in the lists above come in. Most nights, we’re reading and discussing chapters from three or four books on a variety of topics. We’re even at the point where, if Sarah’s going away overnight, we sit down and read before she leaves. We read while we were on vacation. It matters, and we love making time to do it. Will we get to all – or maybe even any – of the listed items this year? Not a clue. And I couldn’t be happier. We’re hitting our stride as a homeschooling family, and wherever this year takes us, I hope you’ll stick around for regular updates! Don’t miss the eighth-grade-ish version of our plan here! We posted it in August 2013, and we’re thrilled to share it. 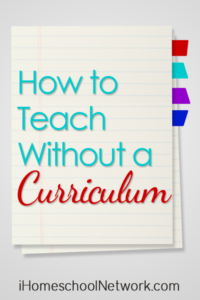 This post is also part of the How to Teach Without a Curriculum linkup through the iHomeschool Network. Click the image below to read more posts on teaching without formal curriculum! 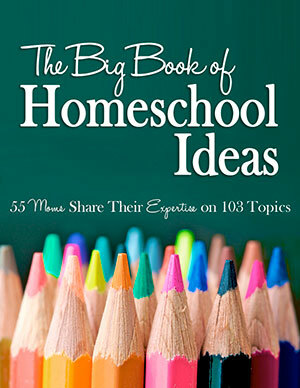 This entry is about books, curriculum, homeschooling, math, reading roundup, science, unschooling. The previous post was 10 things you should probably know about each of the Ottos. 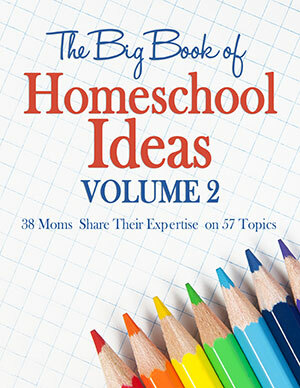 The next post is The ultimate guide to homeschooling for working moms. I’m speechless. That is an awesome un-plan for an un-school year. Doug, that means a LOT. I am very, very glad you took a look – and I hope some of it fits into the ideas of being “edupunked!” I look at probably 80 percent of this and think that with the right freedoms and framework, there is NO reason it couldn’t be adapted to everything from cyber charters to public schools to other homeschooling styles, you know? Absolutely. DIY learning can – well, should – happen anywhere. LOVE it. I was going to do this link up, and then I thought not, because we, like you, are not huge into curriculum. We do what we like, what works and most of what we do it with friends, or pieced together as our year progresses. This year I want/need to keep better records, not for CT which does not require record keeping, but for myself so when Grace is in high school in two years I am an expert at keeping a transcript. We are also doing the Life of Fred Elementary for my youngest. She too has a math phobia. We are on year 3 of homeschooling and I have not been able to get her over it. I really hope taking this month off from anything formal and then beginning this series in September helps! Jessica, I think she’s going to like it, at least based on my daughter’s experience. I have gone against the author’s advice and I’m NOT having my daughter write down any answers to the end-of-chapter questions or anything like that. We just talk through them if she’s interested – and skip them if she isn’t. I figure when it’s time for her evaluation, which is required here in PA, I’ll either see if she wants to do written versions of some of her favorites, or I’ll see if she wants to do some kind of “Fred wrap-up project” or something! I love the lists your daughter created. We did the same, and the lists will be our “goal starters” for the new year. I see that our girls are interested in some of the same things:) The Olympics has been a springboard for all types of learning this summer! Abby’s reading about Jim Thorpe right now. No way!! That is too cool. I think my favorite part is how much I’ve learned through all this. There are so many things that I had no idea about, despite being an honors student all through school. Sign me up! Oh wait. The looks like an awesome year of family un-schooling ahead of us! Just thinking out loud here- would Sarah like to write an ebook for NaNoWriMo this year? This will be Raven’s second year participating and she would love a buddy to encourage/talk to/challenge. Basically, Raven sets a goal for how many words she wants to write. The Young NaNoWriMo website breaks that down and tells her how many words per day she needs to do to complete that goal. I let her type in Google Docs and she just goes to town- without checking grammar or spelling. That is left for editing later. The whole point is to just write, write, write, and get your creative ideas out on paper (well, document). Let me know if you are interested- they could set up Skype calls or chats together! Hmm, she might!! I’ll show it to her and talk to her about it! She’s only ever written short-ish things before (like, the equivalent of about a chapter), but she might be up for the challenge! You can set your own word goal- so if you only want to write a short story you can. Love this non-planned plan! 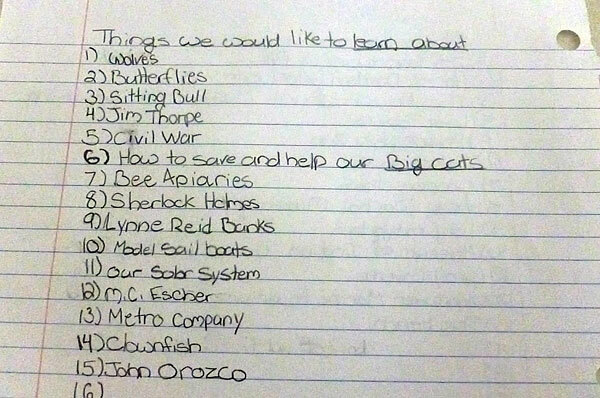 Her list of what the family should learn…priceless. I love that idea of letting their natural interests steer the school year. This looks great. A couple of suggestions for the Civil War – Across Five Aprils and Bull Run. Both great historial fiction that would work well as read alouds – and give you plenty to discuss as well :). For something different, you might like Scholastic’s Easy Simulation:Civil War by Tim Bailey. It is a sort of role play activity, designed for classroom use but it works just fine with only one or two participants. Sandra, I appreciate those suggestions so much! I have never read either, which is an added bonus – some of what we’re reading together, I’d read as a child, and while that’s cool, it also makes it harder for me to keep my enthusiasm! I probably do better reading aloud something that I’ve read before – otherwise I have this annoying (to my listeners at least) tendency to get so caught up in the reading that I tend to forget the all important aloud part! What makes me lose my enthusaism is reading aloud the same book for the fourth time. Serves me right for having four kids all spaced about three years apart! This means they often forget that they’ve ever heard a certain book (when I read it aloud for an older sibling and they listened in) so I have to read it again. Thank you so much, Mommy!! It means a ton to all of us to have your support and know that whatever we do, you are here encouraging us and helping us. We love you! I am SO with you on your starting points…being a lots and lots of books family, and not a curriculum family; not being into grade levels; not being big planners because the best learning happens naturally, although we do have some plans. I had decided not to do this link up because of those things…like Jess said in her comment. You did a very thorough job of talking about what you are planning and why this way works for you all 🙂 LOVE it! I really like that you had Sarah make lists of things she wants to learn and trips you want to make. We do that periodically too. My girls do not do well with assigned reports or essays either…I steer clear of that! Thank you so much!! I couldn’t believe it when Sarah came up with the idea to make those lists, but I sure wasn’t going to pass that opportunity up! Shannon, thank you so much!! We will go on plenty of those rabbit trails too, I know – and I’d be surprised if we hit even half of these things, especially the trips. The nice thing is when we have the “Mom, I’m boooooored” days, I can come up with something that she has a higher likelihood of getting into this way. This is a wonderful posts on so many levels for me. First of all Keilee is the same age as Sarah. Second of all we want to unschool and tried it last year but Keilee wants lists and lesson plans and such. So she was very instrumental in her curriculum choices this year. Like Sarah she made a list of things she wants to learn. I love the idea of letting her pick ‘places’ to visit. I am going to do that with her. I love all the resources you have listed and plan to visit MANY of them! Love your blog Joan. I clicked on your post to read *because* of the title. I had to giggle a little because it seems the looser the style of homeschooling, the “longer” the plan (on the hop, anyway)! Because there is so much to glean from and it takes a while to list it all out, as well as some necessary back story to it, of course. I thought you did a great job at organizing it all clearly and it looks like so much fun! I found this post on pinterest, I see it’s a couple years old but I’m hoping you might be able to get back to me anyway! Can I ask, how exactly do you encourage all this learning and stay away from the constant video games? This is my first year homeschooling. I have 7 kids from 6 to 10 years old, and only 2 of them are interested in actively, purposefully learning. The rest would play video games all day from morning till night if allowed. Do you simply limit the electronics and hope your daughter picks up a book? Hi Bonnie, glad you found us! In our family that’s not really the question we’ve asked. That is, we do a lot of learning, and we play what sometimes are constant video games (all of us!) In fact I think the newest post on the blog is about the app that Sarah has played nonstop for almost a week. But those things aren’t mutually exclusive. I have a TON of thoughts about learning from video games, and specifically the idea that all video games are “educational” when they’re something you engage with together with your kids; you can read more about that at https://unschoolrules.com/video-game-learning. I know that when I first started investigating unschooling, one thing I realized that really helped was the idea of getting rid of a hierarchy of experiences and resources. For instance, the idea that books are “more” valuable than movies or video games, or the idea that some subjects (and we don’t really go in a subject approach, but I was still thinking that way when I was new to the idea) are “OK” to unschool and others don’t work that way. That took some time and a LOT of reading and research and faith on my part to get toward, but there are some great resources out there that helped me really ask myself some hard questions about my values and what really was leading to learning! I hope you’ll stick around and read more!! I too just found your blog through this article. We are finishing up our fourth year of homescooling(5th-ish grade). My 11 year old daughter also has Aspergers and we also do a lot of reading(aloud still, too). I am thinking of adding some volunteer work at a local animal shelter next year. Enjoyed your blog! I’m so glad you stopped by – and I love your nickname. That’s awesome. 🙂 I hope you’ll stay in touch! Janelle, it’s nice to meet you! 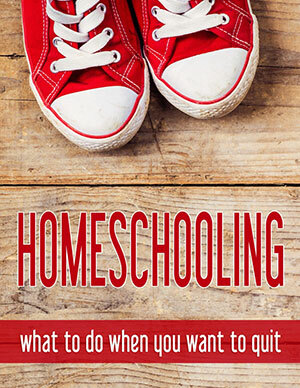 Good luck on your homeschooling journey. Sarah is also twice-exceptional, though she does not qualify for the gifted programs in our local public school district, which was a large part of what led us to homeschool! You might be interested in my three-part series on how we ended up where we are, which you should see as the first three posts at https://unschoolrules.com/?s=going+full+circle. We talk a lot about our “2e” experiences there! I know I am arriving at your blog late but I am glad I discovered it. My son is now 12 and this seems like the way we unschool – so thanks for the year by year unschool posts. I love how you have your kids list what they are interested in before you plan what they are going to do for the school year. My oldest son loves MC Escher, too–cool artist! Susan, thanks! We think it’s a fun way to plan!